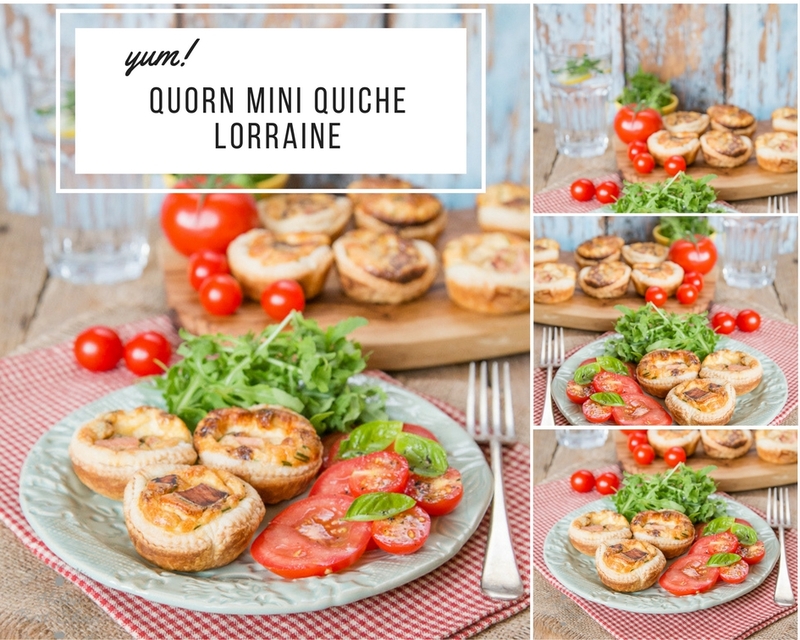 How To Make Meat Free Quorn Mini Quiche Lorraine. Hello. Are you looking for some meat-free recipes for your Christmas baking list? Party season is around the corner and today I am sharing some mini quiche lorraine with a vegetarian twist. Make an impressive centrepiece on the buffet table with these Quorn Mini Quiche Lorraine. Preheat the oven to 200C/ Gas Mark 6. Melt the butter in a small frying pan, add the onion and fry over a low heat until translucent. Remove the onion from the pan, quickly fry the Quorn Vegetarian Bacon Rashers until starting to turn golden. Remove the heat, pour over the soy sauce and stir well to coat. Whisk the eggs, cream, milk, cheddar and chives together in a jug, then stir in the onion and bacon pieces. Season with salt and pepper. Use a round cutter to cut 9 circles of pastry and lightly press them into a non-stick bun or muffin tin. Pour the mixture into each of the pastry cases until ¾ full. Bake for about 20-25 minutes until golden, puffed and just set. Allow to cool for 5 minutes before carefully removing from the tin. Store any leftovers in an airtight tin for a day and reheat in a gentle oven. Recipe courtesy of Quorn Meat Free. 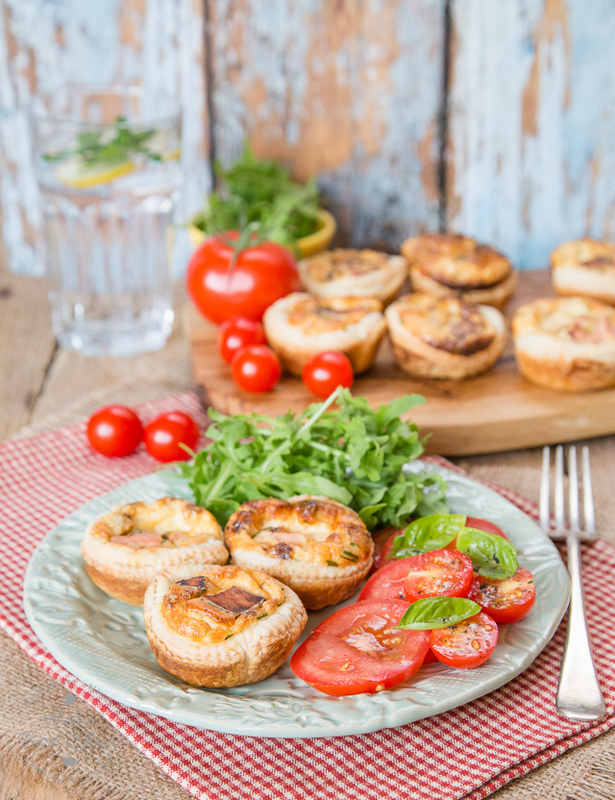 What do you think of this meat-free Mini Quiche Lorraine recipe? Quiche Lorraine is such a classic party food. Why not try now or pin for later? Quorn Sausage And Beans Casserole Meat Free Lifestyle. How To Make Quorn Meat Free Chicken Pieces & Quinoa Stuffed Pumpkin. Quorn Mince & Lentil Bites. "Look Of The Day: Over 40 Style #Over40Fashion"
"Wordless Or Not So Wordless Wednesday Blog Hop"
It's so lovely having vegetarian options for entertaining over Christmas! Your Mini Quiches look delicious, Claire, perfect for a cocktail party or buffet. Thank you so much for sharing, and for being a part of the Hearth and Soul Link Party.